Set outside of the busy city center, the Arena City Hotel Salzburg offers a good accommodation in Salzburg for business and leisure travelers alike. It is close to Schloss Mirabell, Salzburg Congress, the Red Bull Arena, and the most important museums including the Dommuseum, Natural History Museum, and Salzburg Museum of Modern Art. Even such attractions as the Casino and the Hohensalzburg Fortress (Festung) are within two miles of the grounds as well. 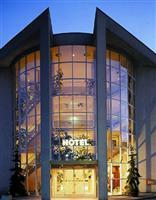 The Arena City Hotel Salzburg is located at Am Messezentrum 2, which is 2.3 miles from the Salzburg W.A. Mozart International Airport. All of the guest bedrooms in the Arena City Hotel Salzburg will come furnished with a full-sized bathroom with tub, signature toiletries, direct dial phone service, satellite TV, a hair dryer, high-speed Internet access, and a personal safe. Guests of the four-star Arena City Hotel Salzburg will greatly appreciate the fine facilities and services, including the 24-hour front desk service, meeting and conference rooms, a modern fitness room, an in-house restaurant, banqueting facilities, free parking on the premises, a business service center, a lounge with bar service, the news stand, and pet friendly policies.